At Ellacombe C of E Academy, we consider ourselves an academy family of children, their families and staff who learn and grow together. Our aim is to nurture children as a whole. 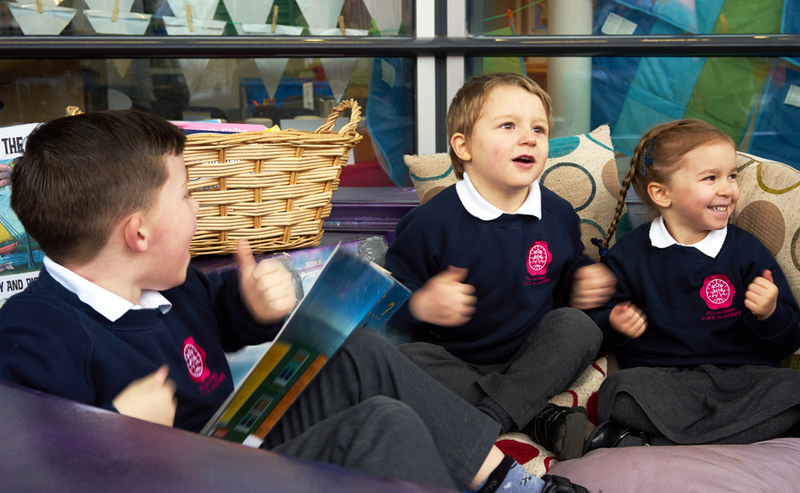 At Ellacombe, we inspire our children to believe that by working together, we can achieve great things ‘Together, we take strides towards a better future’. We are strengthened and supported by being part of a wider community, The Learning Academy Partnership. As a Multi Academy Trust, we are a family of exceptional academies across Torbay and Devon who work together for the good of all our children and communities. Our whole ethos at Ellacombe is to work in partnership with families so that all of our community flourishes. We understand the importance of developing children’s characters as individuals, so that they realise how special and unique each and every one of them are. Alongside thi,s we develop our children’s understanding of the importance of working as an academy community, so that they grow into confident and successful children who show compassion and kindness to one another. Our Christian vision is integral to our academy family, which means we recognise our children and their families both as individually special but set within the collective team. Working together as a whole community is something which we highly value. We embrace every opportunity to grow and strengthen our partnerships with families, whether this includes joining us for Celebration Worship, for open afternoons to celebrate learning and events in our academy or joining us for our wonderful community events, such our Fayres. At Ellacombe, we place great energy and care in nurturing and fostering these relationships with our parents so that the whole family is supported as we ‘take strides together’. "I love being a part of the school community"
"I don’t think people realise how special this school is"
A broad and balanced curriculum stimulates your child to acquire knowledge and develop individual skills, allowing them to become successful learners, confident individuals and responsible citizens. Our academy is like a big family. We have created an environment where children can feel happy and confident to contribute and aspire to achieving high educational standards. We aim to serve our local community by providing an education of the highest quality within the context of Christian values. The children (and staff) were super excited to attend the launch of our very own ‘friendship express’….